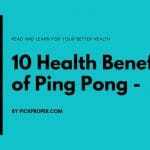 Table tennis is one of the most entertaining and healthy sports out there. But it is also one of the most difficult, especially when you don’t have the right equipment. Luckily, there’s a brand that always tries to help players get the best out of the game, improve their performance, and eventually look good in the process. This brand is Killerspin, and their Jet800 Speed N1 racket is one of the best you’ll find. In this Killerspin Jet 800 review, we focus on the features, disadvantages, and capacity of the racket to offer a great experience. 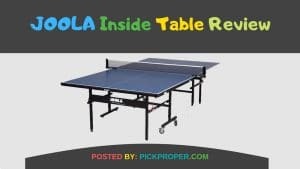 If you are an eager table tennis player who’s looking for a new high-quality table tennis racket, reading this review will help you find the right one. This Jet800 Speed N1 paddle comes with a design oriented towards the serious & competitive player. Anyone who plays the sport for more than just fun will easily love this racket. With a professional 7-ply composite wood build alongside a high-quality blade, you’ll obtain great comfort, accuracy, and extra pop in each hit. It works really well for the aggressive player as it does for the most patient one. The five layers of premium wood with two layers of carbon fiber help to promote superb power when playing. And when you add the Nitrx-4Z rubber, grip, spin, heavy strikes become way easier. Everything about this racket is top-notch. From performance to looks, it makes table tennis very easy and will make your experience much more enjoyable in the short and long term. And to make it even better, you get a Memory Book storage, which allows the user to record scores, write messages and also collect signatures from professionals. 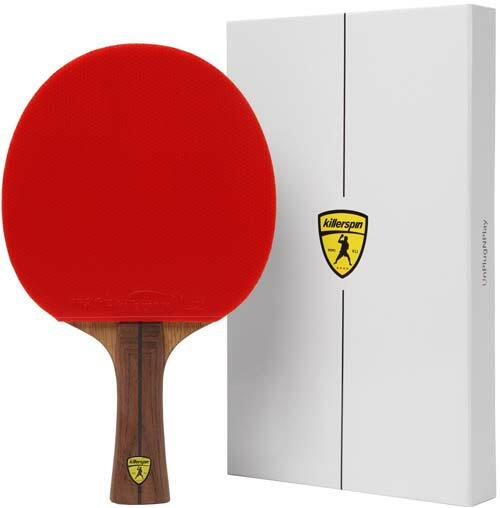 Any table tennis enthusiast will just love it. However, this racket has a lot more to offer than you think. Even though you already know a little about the Jet 800 paddle, it’s still useful to go more in-depth with its features. Here, we explain why this product is so fantastic with more precision. When it comes to carbon fiber, few rackets achieve the real advantages this material has to offer. The Jet 800 from Killerspin is one of those. With two layers of carbon fiber in the seven-layer wood blade, you will obtain an improvement in power that provides the ideal performance for offensive players. The Dual-Carbon technology allows those aggressive players to go into offensive plays much more confident, getting the best power & speed only carbon fiber has to offer. And the best of this technology is that it loses little accuracy in the process, which is why it’s so fantastic in the end. One of the most useful parts of the Jet 800 Speed N1 build is the Nitrx-4Z rubber. The high-tension and ITTF formula produces the perfect spin, power and hit absorption that gives a significant advantage while playing. Users who rely heavily on tricky shoots will love how this rubber performs. The grip also counters spin and powerful shots more effectively, reducing the chances of missing a shot or hitting in the wrong way. The Wooden Side Tape Technology of the Jet 800 offers a more durable & resistant build overall. It protects the internal blade of the racket and provides a style that’s unmatched in the market. You will forget about peeling or breakage, so you will never need a replacement. Even though it mostly focuses on power, bounce, and spin – it still manages to be very comfortable on the hand. Its ergonomic design provides the ideal grip to handle the racket easily and without feeling awkward. You will make excellent hits without losing grasp, even with the hardest of shots. Apart from the excellent build, comfort, and performance the racket offers, you get a handy extra with it: the memory book package. This cardboard box comes with a signature collector, lines to write messages, and even a record table for your memorable matches. A little and seemingly unimportant advantage, but it’s still advantageous, especially for transportation. While it has several positive things, this paddle also comes with a few negative factors that are important to talk about. If you are interested in this product, getting to know about its disadvantages will help you enormously. Power and speed, but lack of precision – this is what many users complain about this racket. You will be able to make great contact with the ball and even give an excellent spin to the ball, but this comes at a price. Those who are accustomed to slower or less powerful paddles may eventually feel a little out of control with this one. The speed and power it offers come mainly from the high-quality build of the paddle. This also means it is a lot heavier than other less expensive or less quality-oriented rackets. While this seems like an advantage for some, beginners may eventually feel fatigued while using it. Those who play defensively may also experience discomfort. 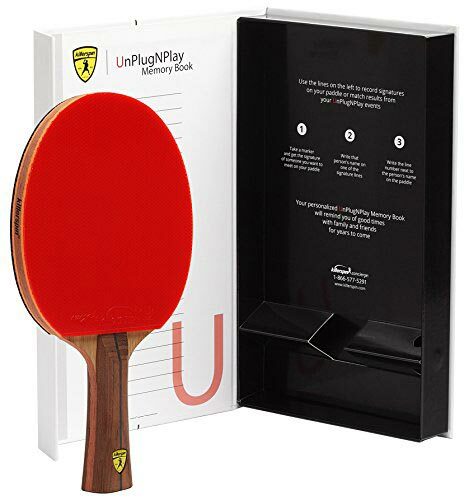 It is a high-quality paddle for those who really care about the game and great performances, and want to really stand out from the crowd. This means there’s a little more engineering and work into its build, which eventually gives the paddle a bigger value. While it is not a hugely expensive paddle, some people may feel like it is too much, especially beginners who won’t care about the vital yet not useful advantages in power & speed. 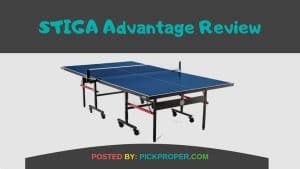 If you think the price is little more, then you can check our top 15 ping pong paddle reviews for all time And another similar one stiga pro carbon, I can assure that you’ll find a cheap and good paddle there. Why the Killerspin Jet 800 Is So Amazing! If you want a fantastic racket, the Jet 800 from Killerspin will unquestionably work wonders for you. Whether you are an experienced and aggressive player or someone who wants to try high-quality builds – this one won’t disappoint you in any way. 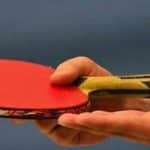 As a paddle for more aggressive gameplay, however, it may eventually feel a little uncomfortable for those who prefer lighter options or those who play defensively. However, it does not mean you won’t like it or enjoy its excellent bounce & speed. With its resistant, durable, and comfortable build – the Killerspin Jet800 Speed N1 will probably impress even the most experienced of players. But with the lack of accuracy and with a more expensive cost than other options in the market, it may not seem like the best choice. Still, you can get a lot from this racket, as long as you are someone who expects precisely what it can offer as described in this Killerspin Jet 800 Review. 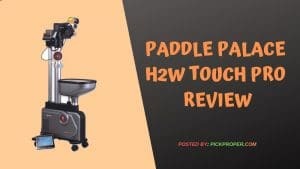 So if you are willing to enjoy its performance boosts and give a pass to its slight disadvantages, this paddle will be a brilliant choice without a doubt. Okay, brother we”ll try to write on this topic. the excellent operate, and It is going to be a regular visitor for a lengthy time. post, we’d like develop more techniques in this regard, thank you for sharing. who has shared this wonderful piece of writing at at this time.